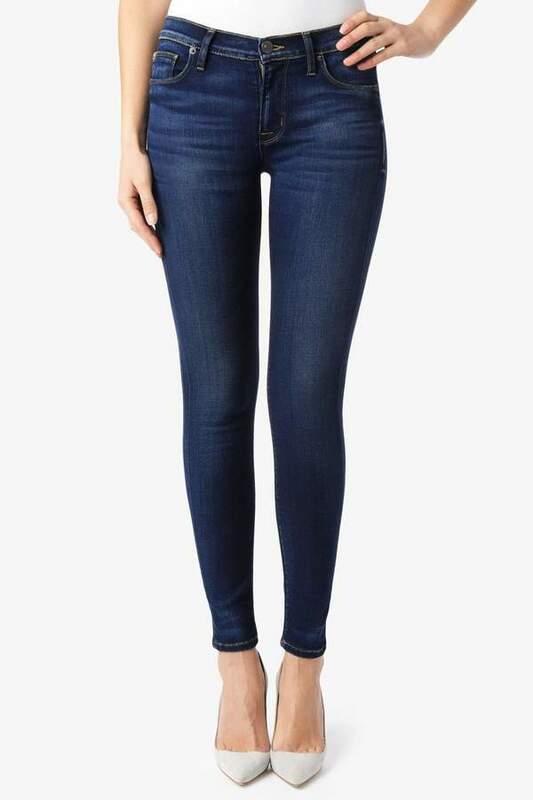 The Nico Mid-Rise Super Skinny in Revelation features Hudson's new Elysian fabric and a super slim silhouette, 30” inseam that hits just above the ankle, and a mid-rise to sit a little higher on the waist for a comfortable fit. A deep cobalt, super soft fabric due to the viscose rich yarns that are also enhanced by the modal fiber. In addition to these yarns it has a special finish to increase the soft hand. It is a super stretch with excellent recovery. This is by far, a must have for your wardrobe! The softest denim you will ever wear. Everyone who works here, already has a pair in the first week we've had them on the floor! Recommended for all body shapes. Whether you are narrow through the hips/thighs or curvy with a big toosh, these will be great for you! Wear with casual sweaters or tees, or dress it up with Frye Boots and a blouse. Mid-rise, Five pocket style, Zip fly Inseam: 30” Leg Opening: 10”.